Sophie Steffen is a Digital Marketer at TravelPerk, a next-generation business travel booking & management platform for companies of any size and the world’s first and only all-in-one platform for booking business travel that is 100% free. 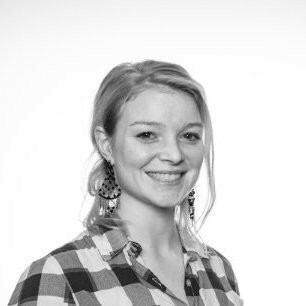 Sophie is responsible for B2B lead generation at TravelPerk and before joining them, she worked 3 years at Softonic, the first big tech company in Spain, also in Online Marketing and Acquisition / Retention. She speaks 3 languages, has lived in 5 countries and spends her free time training martial arts and practicing meditation. Hi Sophie. Thanks so much for joining me. I'm so excited to have you here on the SaaS breakthrough podcast. How you doing today? Hey David, thanks for having me. I'm great. I mean, here in Barcelona we have, not so sunny anymore, but probably not as cold as over there. I'm in Florida so it's not freezing here, thankfully. But you were just telling me before that you're having a land party out there with your team. So it sounds like a really fun office. Yeah, our engineers are teaming up for some counter trial gaming after work, that's how our team kind of like spends the afternoon after doing everything for the product and getting started on some pizzas and some geeky stuff. I'll have to figure out how to get into one of those games one day. But that's awesome. And for those people who don't know about TravelPerk, why don't we just jump right in? Why don't you tell us a little bit about the, when it was founded, who the customers are, and where you guys are doing uniquely in the market place of business SaaS travel? TravelPerk is currently probably the hottest travel startup in Europe and number four fastest growing SaaS company in the world. So you may wonder, like why? So let me just back this up with some facts. We just closed our round C of $44 million, in October and that sums up to the total of $70 million raised, in last less than 4 years. The company is backed by world class investors such Spark capital, Felix capital, Target global, Kinnevik, Yuri Milner and other investors, you can have a look at our homepage, but the interesting part is that those investors actually invested in companies that disrupted their industries such as Slack, Trello, Deliver so that's quite a interesting fact. On top of that like throwing in some figures we are experiencing growth rates of 700 percent year over year, which is amazing and awesome, awesome group figures for startup our size. About our customers. We have customers in all our continents. Top clients are TransferWise, Uber, Bowers & Wilkins, Adyen, Aesop but yeah, we're, we're expanding rapidly. So that's kind of like, just to give you a brief intro. That's amazing and what exactly those TravelPerk actually do? So in order to understand, kind of the beginning of TravelPerk, let's kind of like jumped into the year 2015, that's when TravelPerk was founded by the two ex-employees from booking.com and their mission was to fix business travel. Why did they want to fix business travel? It's because they saw this huge unsolved problem out there in the market that represents a one point $3,000,000,000,000 industry in order to understand like what did they want to fix, we need to kind of understand the problem. So I'm just going to briefly explain to you how travel is currently managed in companies. So we have usually two different scenarios. So either companies have a travel solution, a travel booking tool, an agency in place or the vast majority majority, which is 65 percent of the cases is actually companies that don't have a solution in place and they're unmanaged. So until here you say, okay, that's not too bad, companies, they'll have a solution in place. That's cool. Well, it's not so cool because if you look at those tools that they use, they're often kind of buggy or clunky designed in the eighties, nineties. So, the travelers, they really hate those tools. If you look online reviews, you can kind of see one to two points out of five, so that gives you an overview of how much they love these tools, but also in terms of actually inventory, it's quite limited in choice. They often don't cooperate with low cost carriers. They're expensive. Also, the support is often expensive and bad and mainly the lack of flexibility on booking it their way, leads most of the companies that have a travel solution in place, leads the traveler, the business traveler actually to go on leisure travel tools and book it themselves, because they don't want to use those sucky platforms anymore. So they want to book their, their business travel as easy as if they would book a leisure travel, a holiday. So then we go to the companies who actually don't have the tool in place, who usually use these leisure travel tools. So you think, okay, I use Skyscanner, Booking, Kayak, they're all cool platforms, but the problems here is that you lose a lot of time comparing different options, the best options, you don't want to spend most of, kind of like the expenses, the most expensive trip for your company. So, that's kind of like where the CFO biggest nightmare comes in because you actually don't have control over your travel spend and the whole admin layer is missing. So you don't have approval flows, you don't have travel policies, you cannot store your travelers information any place and in any case in both situations, so either having something in place or not having some solution in place, kind of brings us to the point where the two founders said, okay, we want to build an amazing platform so an all in platform end to end where you can book, manage and report your business travel in one tool and that for free. So that's what TravelPerk is. So we combine this consumer grade user experience, best of breed technology, the world's largest inventory because we're directly integrated into all these leisure travel platforms plus the major providers. And GDSS used by travel agencies in the world and having this very disruptive business model that is free to the user and on top of that we have integrated approval flows and travel policies, reporting on travel spend, on to see like who spends what and when. So the CEO's knows exactly who to blame on the next time on the Christmas party for spending most of the budget for travels and then we have like this extra bonus, our 24/7, not just support service, but it's like a really seven start in house team of travel agents that don't just provide a travel like support and then go to the next customer. No, we want to build a seven star experience and private providing them with the best support and kind of going on top of that. Like kind of if you would experience five star hotel, no, it would be kind of going beyond that. So yeah, that's kind of in a nutshell what TravelPerk aims to be. It's pretty incredible and it's always these amazing kind of niche SaaS companies where the founders find a problem when they're in the, when they're in like the industry already and they just see this problem, they hone in on it, they know how to do it, they bring their experience and they just crush it. So it's absolutely incredible to hear. We use it actually when we flew out to SaaStock 2018 and it was an incredible experience. So really, really cool to see what a disruption for like business travel. Now looking at you specifically. When did you join the team as a marketer? Maybe give us some idea of maybe what the company size was at that time or customer size? I joined TravelPerk almost two years ago. Back then we had 30 employees, now we're over 150 and we're intending to grow, kind of tripling the size of the team in the upcoming year and a half. We have over 43 nationalities at Travel Perk and those two years were just an amazing journey in terms of like the company itself, we grew the company from a few hundred customers to a customer base that's in the thousands and over hundreds thousands of travelers and honestly, I mean that gives you also an idea of the market, how the marketing efforts had to adapt to this ever changing, not just in house but also like a customer base and new market opening and expansion of the, of the company. So the first initiative. So when I joined I was actually hired more for the PPC campaigns, but I ended up doing a bunch of different things and events, social posting, helping with the blog, email outreach campaigns, customer retention, communication. And you always have this constant juggle between kind of getting things done and then define like the broader lead generation strategy because when you, when you build that from scratch, I was the second hire. So there was the VP of marketing, an intern and me and we had to define the whole funnel from lead marketing, qualified, qualified lead, onboarding customer, but also like how much can we spend the, finding the model, defining the, the customer acquisition cost, the finding the conversion rates, but if you don't have data to back that up, it's quite challenging to actually get down and say, okay, how much are we going to spend on our first campaigns which were on Facebook, Linkedin and Adwords. So all that is pretty exciting times and it still is because we're, we're still growing like crazy. So I'm definitely not bored. For sure. Sounds like an incredible journey. You joined early on like a rocket ship growth SaaS company. You guys had a build out department and I think the hardest time is that early stage when you're just building it out. You're trying to figure out, you know, what to do, what to focus on, the priorities, all that stuff. But it sounds like in those two years, obviously with 700 percent year over year growth, you have found ways to grow. So, you know, just kind of fast forward us to now. So this is like catching up, like looking now, what initiatives are you guys focusing on successfully in marketing? Our most successful lead channel for generating sales qualified leads is Adwords, we're working with a freelancer because the volume is just so crazy that it's impossible to manage it by yourself. On top of that, I'm also managing partnerships with different admin, finance, business traveler and networks, but also expanding to influencer marketing. And also something that has been working pretty well for us, you mentioned it, SaaStock, we've been one of their travel partners, well the travel partner, another word they haven't any other travel partner, this year also work closing with Noah and Toah for next year. So that has been pretty awesome for us in terms of like stuff that, that worked well. That was a really good idea to do that sponsorship and it probably worked out amazingly, but I want to dive in on some of these initiatives. So let's talk about Adwords. You said so initially you were hired for PPC, so you have some background in there, you guys had to lay out the tracks and now you have a contractor handling the heavy lifting. Can we talk about what you did to create optimized SQLs? So, in every B2B company the funnel from lead to MQL to SQL probably works very similar, but how much you can spend depends on your, on your business model. So once you know how much you can pay for sales qualified lead, you can track that back on depending on the conversion rates you have between lead, MQL, SQL to know more or less how much you're willing to spend for a lead. So that's kinda like the first indicator for if you do a test campaign, let's say 1k or 5k, and then, okay, my goal is to generate leads, which then hopefully bring me x amount of MPLs. And then x amount of SQLs because the sales cycle of the first, from lead to MQL, it's, more or less you can, we can qualify a lead within a day, max a week. But from MQL to SQL, it usually takes one or two months, obviously once launching a campaign, you have to wait a little bit until you actually know if that campaign was successful. So that was like the initial struggle to first have that model I was talking about earlier right. And then seeing, okay, how can we optimize if we don't even know if that lead is going to bring as an SQL? So the first campaign we launched, on a small scale was the UK because that's one of our target markets in Europe, and once we've seen some indicators, from, from the keywords and the actual copy of performing quite well in terms of lead MQL. And then two months later we saw ok, it's generating a decent amount of SQLs. Then we started from there to expand to other European countries like France, Germany, Spain, and from there to actually localize the copy and the website and everything. And now that we have a more robust reporting system in place and we can track that better, the keywords that are performing from then we now have the kind of the groundwork done to expand to bigger markets such as US or Oceania. So that was kind of like the approach, but it was a daily and weekly control over keywords on a over and to understand which are the, which are the keywords that drive most of the SQLs and not just looking for random keywords because in the end we want to have keywords that match our value proposition. So it's always a lot about like these small optimizations, but also being very aware where you want to get to and what's your cost that you're willing to pay. I like that idea a lot. So setting up the costs you willing to pay early on. And obviously they are probably guests to start when you're just building stuff out until you could refine them. Now when you were, when you were creating those ads to start with and you had, you know, your MQL is coming through your leads coming through these ads. The first thing you're looking at as far as KPIs is probably just CTR, Click cost per, Lead cost and then you just kind of waiting to see when they become an SQL during that time were you just playing with keywords, trying different combinations to just see how you can get that MQL cost down and then just wait for the data back to see which keyword actually produces the best SQL? It's a combination of everything. So obviously looking at CTR, Average position quality score, also seeing which devices perform better and always having in mind the negative keywords also that that's something that definitely has to be done on a daily basis because there was a lot of junk going coming through the search terms. but then like one of the like insights we had was to actually be very close to the leads that were generated. So now sales does the qualification, but before it was handled by marketing. So every lead that was coming in, we tagged it one by one to actually see if it was a qualified or not. So we didn't have a Mickey Mouse signing up. So to understand who is signing up and to understand like, because behind that lead there's a name, there's a person, there is a company, so it's really getting your hands dirty and doing all the groundwork, but that gives you so much insights into, okay, is this campaign working and why and why not? Okay. Because we're getting a lot of traffic, but what does it mean crappy traffic? We got a lot of travel agencies at first. Yeah, because we were optimizing a lot for the travel agency, but then we saw that none of these travel agency actually converted to a sales qualified lead. That's when we kind of excluded the travel agency keyword or the definition from our qualification, which then gave us kind of the feedback to optimizing it on the keywork basis. So it's pretty important to not just do the campaigns and then kind of like that's it, but look at the whole flow and look at the funnel and the pipeline where you want to get and always review your definition. I think the, the MQL definition, we've reviewed it maybe like, I don't know, 50 times, so it's like, it's not about like reinventing the wheel, it's more about fine tuning it and understanding from your data on how you can optimize. We even tried to, for example, automate the qualification process based on, okay, we only want company, companies of that size or that persona to be qualified, but then this also didn't work because there were like a lot of leads that were in our sweet spot, but maybe because of the form, what they selected it, they would have been unqualified and falling between the cracks. So it's that part I would definitely not automate because it still gives you a lot of valuable insight. Information on, on your campaign. Did you guys ever do anything like just linked them to a demo or a call and get on phone with them? For demo requests? So demo requests for, of a smaller size, that would be then in our sweet spot they would be redirected to a video or just like, yeah, like a nurturing campaign. Sweet. Yeah, that's definitely something that we did too, but that's so like such good advice as far as constantly optimizing what becomes MQL throughout, and, and really, really just smart advice on Adwords and negative keywords and just qualifying the traffic as they come through. you also mentioned that you guys did partnerships, you know, maybe explain that a little bit more. What, how did you guys decide to do partnerships? What makes, a right company for partnerships and how did you build those relationships? So we started to look more into partnerships as we were seeing that inbound traffic is kind of a challenge to get a company signing up through, for example, Facebook. So Facebook was a big lead gen channel in the first days when I started because we were looking at smaller companies, but now that we're moving upper market, it's still a person that you're talking to. So we've seen that actually partnering up with different networks and these decision makers that we want to like talk to in the end when deciding if they would adopt a travel solution for their company, which usually is the finance manager or CFO or the admin office manager slash personal assistant or even an HR manager who would then decide whether or not to adopt a travel management platform. It's, it's really important to understand, okay, where do these people hang out or what are their interests, what do they read in order to get their information and how do they, how do they want to kind of fill up the stack up on their, their tools and how do they want to get informed? So that's like one of the reasoning why we started to look more into, into networks. And of course, first it's kind of to establish this contact and understand the database, again who are these people? It's not just about like leads and a number, like 40k database. No, it's like who are these people as the decision maker? If you say it's an admin, but like what does it mean? Is it more a personal system? It's very different from an administrator or a receptionist or an office manager and a company that's two people or 5,000 people. So which companies are in your database, which industry? The demographics and once you have like a basic understanding, then we usually do one or two test campaigns. It's again, once you know how much you're willing to pay for an MQL SQL, then you can kind of see if, after you've done the test, if that's something that you want to explore further on and then you can kind of build on those, those content programs or yeah, like email blasts or podcasts with this network and kind of establish this more longer term relationship partnership with, with an admin, finance or even like business traveler network. But it's really important to know what your goal is in order to kind of be, be successful or not in the test. That makes a lot of sense. As far as the tests, are you going in? Are you testing different things like for this network we want to test an email, for this network, we want to test a podcast, for this one we want to do advertising. How do you know what medium to use and like what kind of campaigns where you setting up when you're doing them? Well, it depends on the network. Sometimes they already have like a media kit that they only would offer you a blast, email blast or a Webinar, but sometimes they're open to kind of explore new types of partnerships. So I always try to kind of push new partners or networks to explore. Yeah, like new ways of doing marketing because that's also the fun, fun part. It's not always putting a banner on top of your newsletter, that's boring. I mean like banners are kind of like, I think people are just so used to banners, so I don't feel it's going to be moving that direction. So it's, it's, it's really also providing value to those, to those decision makers, it's being creative and knowing what their pain is, if you know what their pain is and, and you have a solution for them and not just like, yeah, like ad hoc solution, but something that will really make their lives easier then then, then you have a powerful tool to provide content and quality content around that. Makes a ton of sense. I love the fact that you said creativity and kind of playing with those ideas and that's probably been such a big winning part of your marketing. Just kind of playing with new things, experimenting, being creative and thinking about how you can provide value. What about any major roadblocks you face? It sounds like so far all these campaigns over time obviously, worked really well. Obviously growth has been amazing. it sounds like you've been able to figure out those things, but I know marketing isn't always that easy. What about things that were kind of a struggle along the way? Well, that's the fun part, I guess as a marketeer that you are willing to push yourself out of that zone of, I don't call it the comfort zone, I call it the zone of knowledge because it's kind of like, what do you know? And then you feel comfortable in there, but as a marketer, I think everybody feels that challenge to question and yeah, like, move that status quo in another direction because otherwise you would just be doing the whole the same thing over and over. And I mean wherever you look, especially in tech companies, it's, it's far from that. So you always have to look at the next two or three things that you want to test. And, and that's why I don't call it a roadblock, I call it more of, of an opportunity. So everything that's, that seems like a challenge or seems like something that was kind of like, oh, this is like so difficult and like I have a struggle with that. But yeah, then sometimes it's kind of right before that, that do you have like a major breakthrough. So honestly we have roadblocks or I would put like, challenges in, in the team being a startup, we have so much to do. So it's about focus. So that's one thing. So there are a lot of cool projects, but sometimes the less sexier ones are the ones that need more planning or a little bit more structure, are the ones that actually are bringing in leads. So in the end we're a business so we want to get customers on board and for that we have, we need to have a plan. So follow kind of the, the goals for the, for the quarter and for every month and every week. So that's one thing, focus. Then obviously what I was telling you before that the qualification process, which is always this handshake with sales to know exactly what happens when we get a signup, a demo request and kind of follow the trajectory of that lead to understand also we're like, okay, what happens, that we have so many MQLs, but no SQLs, like what's happening there? So I'm like, really, it's a constant conversation to understand how they're working now that we're scaling a lot, the sales team also scaling. So it's also about like they're adapting to new process. We're adapting to new processes though, that's, that's a, a constant conversation that we need to have. Another thing that we're discussing now is attribution. So before we had last touch attribution, now we're kind of aiming for a more multi-touch attribution model, because if you have a lead first came through, let's say organic, was looking at your, of your website, but then signed up through Facebook and then actually was qualified because seeing another Ad words ad. So like who gets, who gets the credit, who gets the wade, how, how can you then kind of report back on the performance of each channel if actually you get like a lot more leads from this channel than initially thought. And then that again plays back into your costs of acquisition from that channel and how you're going to decide moving forward if you want to put more money or not in this channel or the other channels. So that's a, that's a big challenge. And then again, like 2019 is just like two weeks away from now. I know we're having our Christmas party this Friday. I'm kind of scared. You never know what's going to happen. Last year was crazy. I'm thinking this year is going to be a lot crazier. I think I am going to have to fly out to, to just join that party. That sounds awesome. So yeah, that's kind of like 2019 is going to be another big challenge to see, okay, Q1 where are we going to get more leads from? And then recruiting the team. Not just the, not just the company team but also our marketing team. So which is fun too. I mean I love everything I do. Somethings more and some things I love even more. Your passion definitely comes through and I think that's probably been one of the reasons why you have so much fun in marketing and when you face those roadblocks, they become easy challenges to get through. So I love that perspective and I love like just feeling your energy. You've had a lot of fun with this stuff. Let me ask you two quick questions before we move on to the lightning round one. Early on, how did you guys figure out prioritization when you have so much to choose from? And number two, how are you guys doing that attribution stuff now because that is so critically important. Okay. So let's first talk about attribution because, that's, it's, it's not easier, but it's just more straightforward. So as I was saying, we had last touch attribution before. So when a lead signed up, that was kind of like from that channel, on where we're tracking the lead through utm parameters via hidden fields into the form. So then in our CRM, which is Salesforce, we could see the lead source, having an add on gave us actually more insights onto first and last click attribution. But the addon didn't, didn't let us kind of weight the, the attributes onto that. So now we're looking into different solutions so we have three or four in mind, to actually implement that on top of the CRM system. So it's kind of like an additional marketing layer where you can tell the system, okay, you can weight that, if you have like three touchpoints, you can say, okay, 30, 30, 30 percent or if you want to give the last click more weight. So that depends a little bit on your, on your model and how you want to wait attribution for now we say, okay, if we see there is a paid campaign involved and the other campaign is organic, we give all the credit to paid, because in the end were deciding on how much money we're putting in paid acquisition. So we know that there is a probably five to 10 percentage of organic leads that are driven by paid campaigns, but they're on track because of different navigations or maybe blocking cookies or that the browsers caches, somehow influencing and losing that tracking. So we know that there is a amount that's influenced by paid campaigns. So in order to make decisions on the performance of each channel, we're still attribute that to the, to the paid channels. But yeah, moving forward, probably Q1 will be, the implementation of this multi-touch, a system that we're going to put in place. And the other question was about the prioritization, right? So that's a fun part because, I mean I think every marketing team is like more of this and every company is like this, creative team and you know, like a little bit out of mind crazy team, but actually you have to be a super focused in order to meet your goals. And I mean I'm more in the performance part, even though I have the craziness of the creative mindset also I needed. But yeah, for me it's quite easy to keep track on my focus because every week I check on my stats on, on my goals and then how I'm keeping up. So if we're, let's say on day, in Q4 we're in October, so ending of October, so it was like 33 percent of the Q and I'm seeing, okay, for my goals, I'm at a 20 percent or I'm on 40 percent. That gives me an indication of, okay, if I have to speed up a little bit or if I'm on track, I'm also taking into account seasonality. For example, Q4, obviously the last month. so December now is kind of like slow, slower month in business travel at least. In summer. August is also a slower month. So all these things you have to take into account and bake into your formula of navigating your, your goals. So that's how I do it. And our team, since it's a mix between kind of more the comms team and performance marketing, we do a monthly sprints to keep up with our, with our goals, with our goals, OKRs. So objectives and key results, which are given by us from the company and also defined on a marketing basis. But from the lead gen part, we always look at, at numbers and from there kind of, translate that into the different initiatives or put a number behind each initiative to see, okay, how much we're expecting to get out of that. And then it's quite easy to keep track on where you're standing on comparison to the quarter. It makes a ton of sense and yeah, really helpful explanation there. I love that. But what I want to do now, just based on time here, I want to transition over to the lightning round questions. Just five quick questions for you. You can answer with the best thought that comes to mind. it's a ton of fun. You ready to get started? Alright, let's do this thing. All right. What advice would you give for early stage SaaS companies starting marketing today? So that's an advice I would give every company which is test, test, test, but at the same time, trust your instinct. I was reminded of Adwords because at the beginning we did a lot of tests and they were not working, not working, not working. So, but like you would think, okay, it has to work it as to work. So that's when you were stepping out of your knowledge and comfort zone to kind of like yeah scale that test to a different level. Makes a lot of sense. And I love to ask people on this podcast, like how much time do you typically give to a test and something like that. And I think on our last call someone said they give at least three months, especially for something like Adwords to really give it time to go through testing. Would you agree with that? Well, at least two months because of the sales cycle. So three months seems like a pausible time. Yeah, I love that. Alright. What skill do you think is vital for marketing teams to improve and build on today? That's kind of related to the first one. That would be execution. So just doing it. if you have an experiment, you first have to design well that experiment, meaning define your success metrics, what do you want to achieve, how you want to do it, and most importantly, how you will measure it. And then, yeah, just wanting it, but imagining that success that you want to achieve and be also very critical after you've concluded the experiment. Love it. Such good answer. What about a best educational resource you'd recommend for learning about marketing or growth? I love GrowthHackers, so subscribe to their newsletter also. I love Andrew Chen, who's VP of Growth of Uber. And I also follow Seth Godin was like big marketer, more classic marketer, but I mean we always need to improve our, our storytelling skills in the performance side. Yeah, all three of those are great resources and people. What about a favorite tool you can't live without? I would say TravelPerk, but I guess if I would be a business traveler that would probably would be in, in our team we use Slack and Asana, but from a personal use, I love Trello to time and task manager. Trello is amazing obviously, so as Slack, but a big fan of Trello here as well. That's awesome. What about a brand, business or team that you admire today? Definitely also Slack. Just how they build their audience. Mainly word of mouth because it's such an awesome product and like solving this huge pain of emailing. I also love the app that's actually a meditation app, it's called Headspace, I don't know if you know it? I do know. It's a great app. Yeah, I love how it was built. So the founder, actually it was a Buddhist monk for 10 years and then he partnered up with a marketer and then they build Headspace. So I love the, I love the concept, the idea, the brand and everything. Yeah. And besides those two, I love Spotify. I love Airbnb, like how they market, how they, I follow their ads and how they kind of do the whole marketing strategy. Yeah, those are amazing companies. All three of them, are just incredible examples of companies who are doing marketing right and really good examples for all of us, but that's amazing. And you know, I just want to say, Sophie, thank you so much for jumping on with me today being so awesome. you gave a ton of great answers. Your energy and your enthusiasm today was off the charts, so I appreciate it. Really, really great interview, so thank you so much. No, thank you for having me. And I think the (inaudible) is about to kick off here. Awesome. Well, I'll let you go. Go have fun with the team, go have some pizza and really appreciate your time today, Sophie. Awesome. Speak soon. Bye Bye.